Isn’t it pretty? These are images I’ve been dying to try for a while and I am so happy to have them in ONE plate. 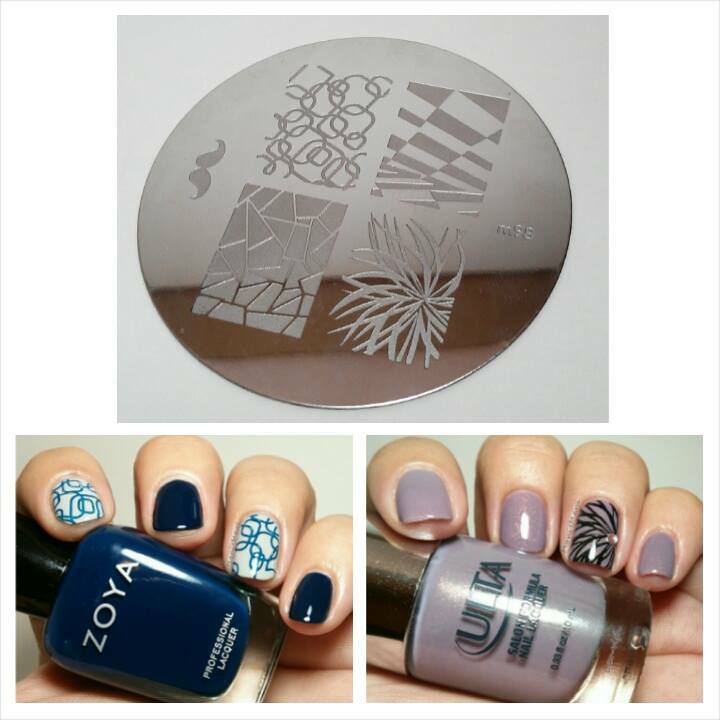 The images are easy to pick up; I used a squishy stamper for both these manicures and had no problems what so ever. *For my first mani I used Ulta polish (Lav-vish) as a base, stamped with black on the accent nail and finished off with a little rhinestone to add a special touch. 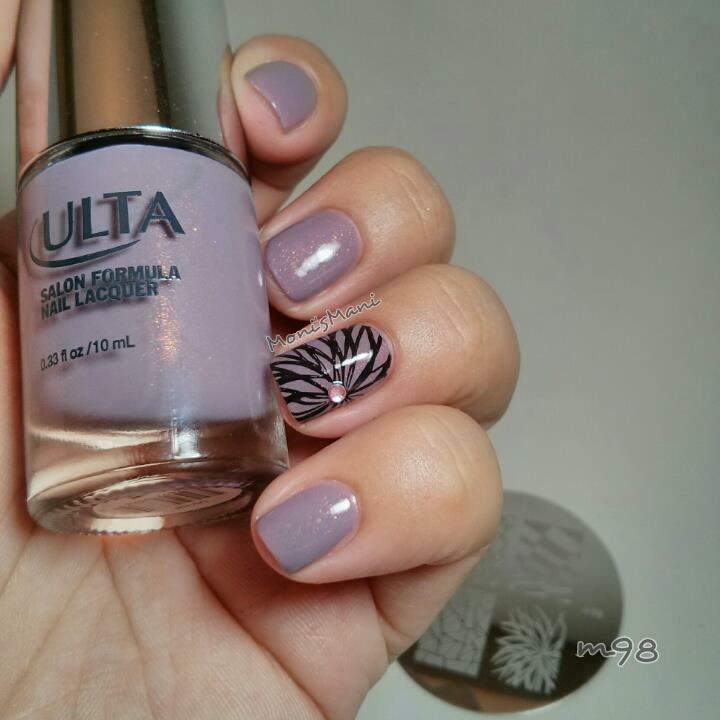 This is my first Ulta nail polish and I really liked it! the formula was very nice and smooth. you see two coats plus tc on this pic. 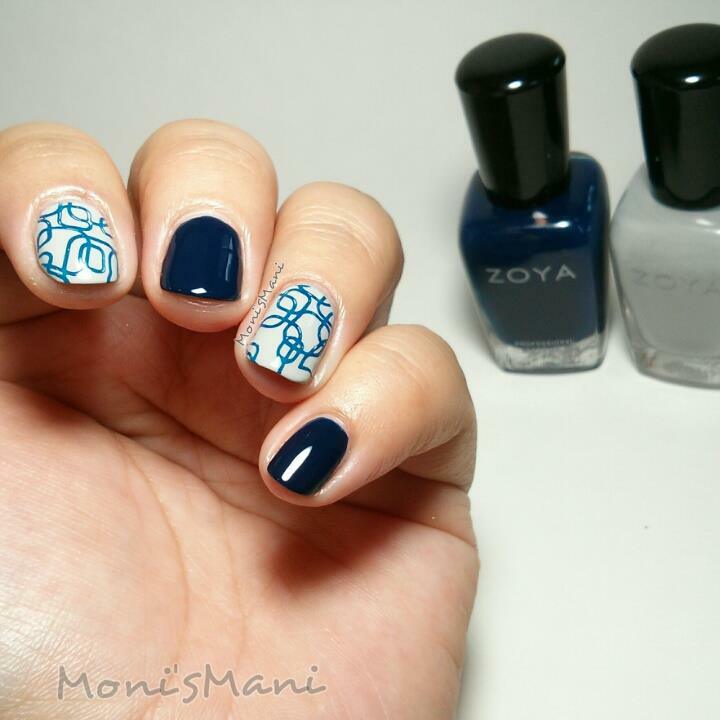 *For my second mani I used the Zoya Ryan (blue) and Dove (gray) as base. 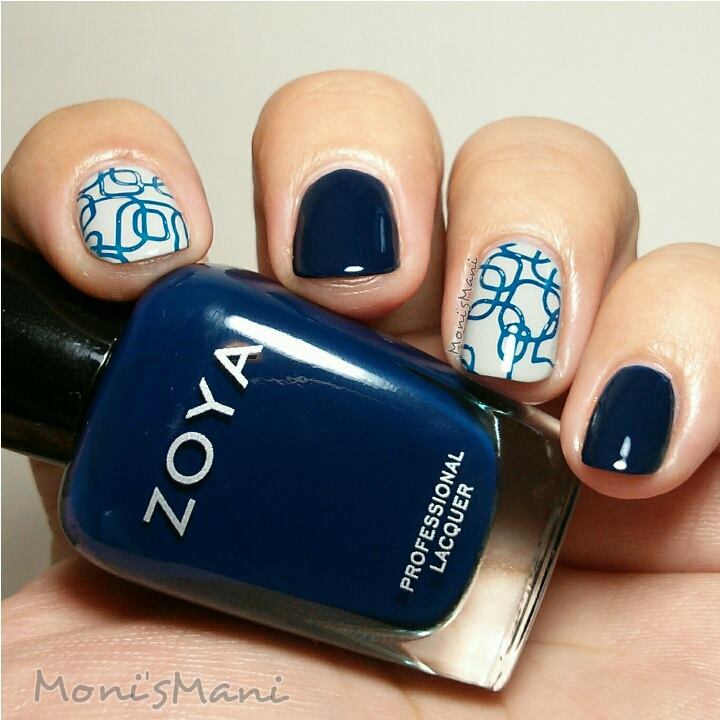 Beautiful colors and amazing formula as always with Zoya. Ryan is a bit darker than I thought but I love it none the less.. blues always have my heart. What do you think? as I said before the images on this plate are super pretty. I’m very happy with it and definitely recommend it! Did you know that BPS is having a nail art contest? all the way through Nov. 10, 2014. Check it out below!